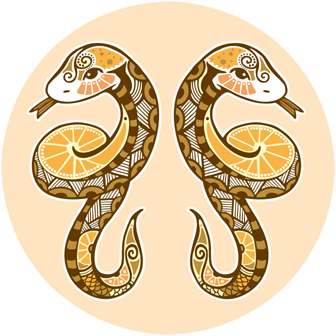 Persons of the moon sign Gemini are optimistic, cheerful and curious. ♊ Persons of the moon sign Gemini are optimistic, cheerful and curious. They are open-minded for new experiences. They have an approachable personality and accept enthusiastic opportunities and information the world offers to them. When he may transmit his knowledge and experience he attains satisfaction and finds himself happily in his element. Ideally he is not just transmitting his knowledge and experiences he himself attains new experiences and point of views within dialogues. Predominantly communication is his part. He needs it for his peace of mind and with this he feels really happy. Exchange and various diversion is his part. Stagnation and monotony make him feel unhappy. Emotions and feeling is suspect to him – he likes to talk brilliant about feelings but they do not lead his decision. In his relationship he is well versed talking about emotions – he likes to analyse and he needs an intellectual partner to hold valuable and challenging discussions. For his joyful relationship it is particularly important to him that his partner accepts and respects his wishful desire for freedom and liberty and his love of adventure. Diversion and change is significant component for the moon sign Gemini.